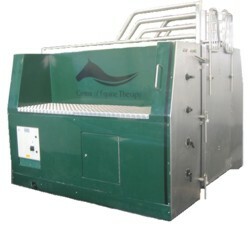 National distributorships are available worldwide for the CET Equine Spa. Would you like to set up your own Equine Hydrotherapy Centre and then sell spas within your designated territory? Ideally you would already be involved in the horse industry and have suitable premises and stabling. Arrangements would vary according to the size of the country and likely demand. If interested in discussing the possibilities please email the Centre of Equine Therapy giving your contact details and information on your current business activities. Copyright © 2000 - 2009 CET Equine Spa and EquineNaturalTherapy.co.uk All Rights Reserved. Homepage.